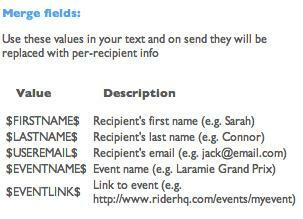 And when the email is sent $FIRSTNAME$ will be replaced with the first name of the recipient, $EVENTLINK$ with a link to your event page and $EVENTNAME$ with the name of the event. 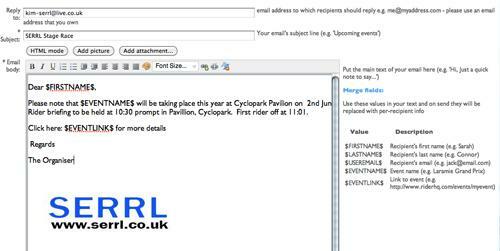 Group mails to club or league members also allow email merge fields, so you can personalise emails and include per-member or per-entrant details. We will be adding support for more fields in the coming months, let us know if there's anything you'd like to see!